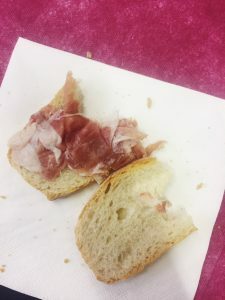 I have loved prosciutto, perhaps the most famous of salt-cured Italian hams, for as long as I can remember, so needless to say, I jumped at the chance to spend a day dedicated to the one of my favorite incarnations of this delicacy: Prosciutto di Parma. Now, Prosciutto di Parma isn’t the umbrella term for all prosciutto. Rather, it’s a D.O.P. 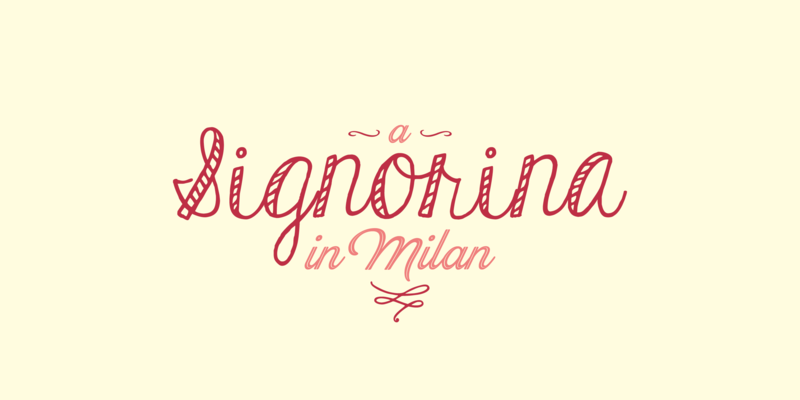 for a specific type of prosciutto for which a Consorzio was founded in 1963. So off I went towards Parma…. Anyone can make prosciutto…all one needs is a pig’s hind leg, sea salt and air. However, the prosciutto-making process is quite intricate. 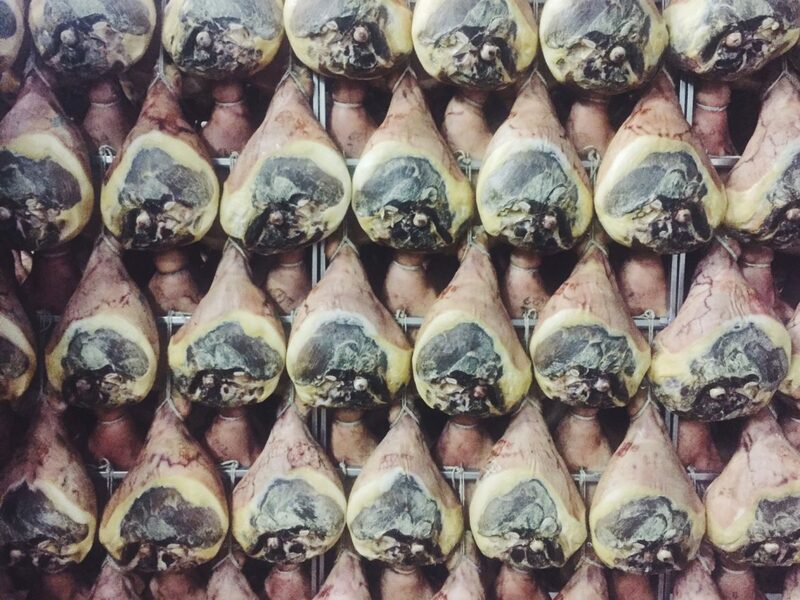 As is the case with many good things, there’s a lot of mass market prosciutto out there. In Italy alone, more than 30,000 types of prosciutto are made. 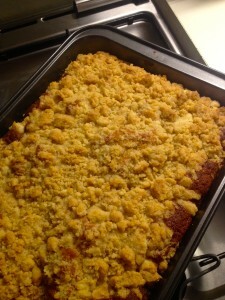 Yes, several are good but plenty are inauthentic, often made with imported meat and/or added preservatives and nitrates. 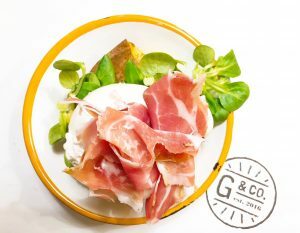 True Prosciutto di Parma should be made from Large White, Landrance and Duroc pig breeds that live in one of ten specific regions of Northwest Italy and eat a diet comprised of particular grains. 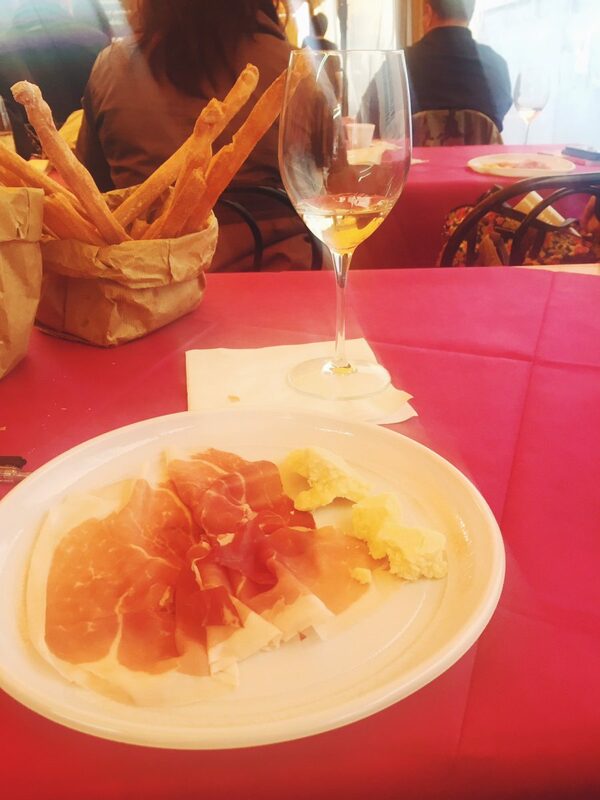 In addition, Prosciutto di Parma must be cured among the of Parma hills, where a breeze from the Tyrrhenian Sea coupled with the distinct Apennine mountain air typical of Parma’s surroundings give Prosciutto di Parma its distinct flavor. The aforementioned Consorzio was formed to set standards for this type of prosciutto. 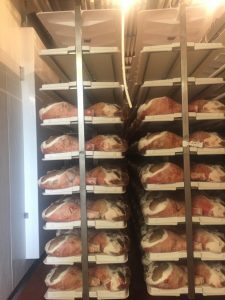 This past weekend, I toured Prosciuttificio Bedogni Egidio, and got to see first hand just how Prosciutto di Parma is made…. So, the day after the slaughter, the pigs’ hind legs are compressed in a machine that squeezes out the blood, then a specially trained salt master covers the leg following a super specific rubbing process. 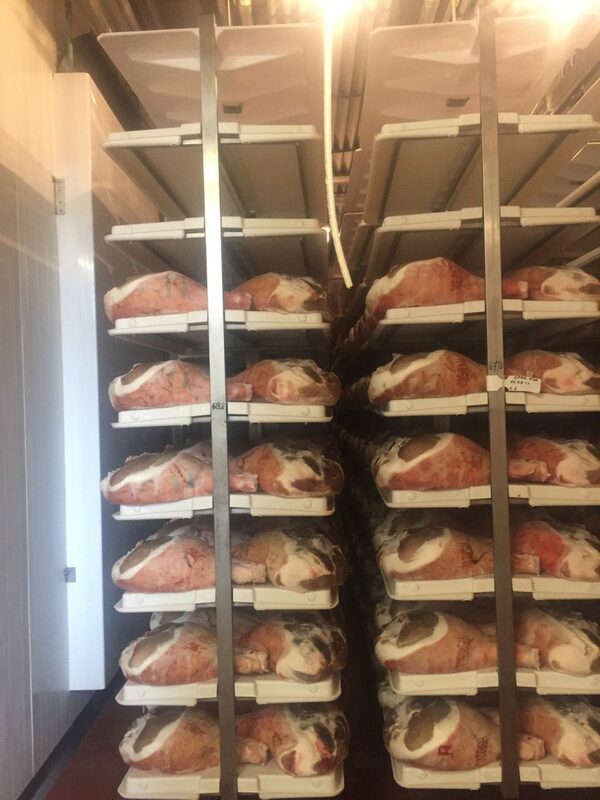 After this prima sale (first salting), the hams sit in a climate-controlled cellar for six days, after which they’re cleaned to undergo the secondo sale (second salting) then sit in another climate-controlled cellar for 15 days. Next, the hams hang in for a three-month riposo (rest) in a space that is ventilated with the external Parma air, then a layer of salted and peppered lard is added to help keep the ham pure. 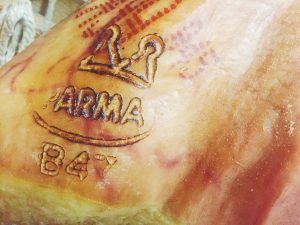 The hams hang in an aging cellar for at least another 12 months, and when they’re good to go, they acquire the official Parma stamp. Now, to clarify, I don’t mean to imply that any prosciutto that isn’t Prosciutto di Parma isn’t good. That’s not true at all! There are other amazing prosciuttos out there such as San Daniele, Toscana and Speck from Alto Adige, all of which are made differently. 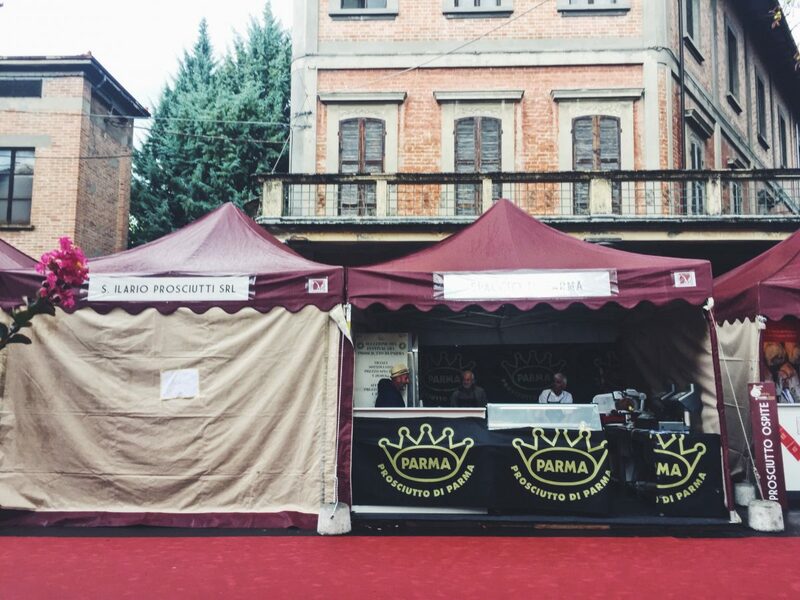 This year marks the twentieth annual Proscuitto di Parma Festival that takes place in Langhirano. The Cittadella del Prosciutto, the heart of the festival, sits on Langhirano’s main drag. Several Prosciutto di Parma makers show face alongside those representing other prosuciutto makers from places like San Daniele, Veneto and even Croatia, so you can sample bites to compare and contrast the particularities of each. The Festival kicked off 2nd September and goes through 9th September, so check it out if you can! In true Italian fashion, a wine should accompany every edible. 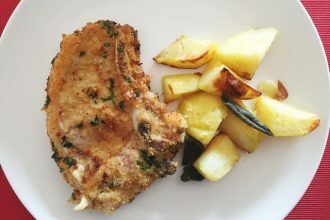 The obvious Prosciutto di Parma pairing is Lambrusco, the sparking red typical of Emilia-Romagna, but the Festival introduced us to a few other pairing ideas. 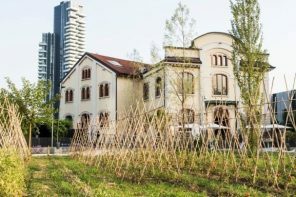 First was a sake tasting led by Marco Masserato, the founder of La Via del Sake, a Milan-based sake-dedicated association that coordinates the Milano Sake Festival. We sampled two sakes, and I can’t read my handwriting so as soon as I confirm the names, I’ll update this post with them! No that’s not wine. It’s sake! Next up, was an Italian craft beer pairing! We tasted three beers from Amarcord, a Rimini-based brewery, paired with Prosciutto di Parma of course, 3 types of Parmigiano-Reggiano (aged 12 months, 24 months and 36 months respectfully) topped with some balsamic vinegar from Modena. Golden Belgian Ale, from Amarcord’s AMA Line, on which Garett Oliver of Brooklyn Brewery consulted. Loved it because it’s made with orange flower honey, and I love, love, love anything with orange flowers. It had a refreshing effervescence and paired quite smartly with the Prosciutto di Parma. Riserva Speciale to pair with the 12- and 24-month aged Parmigiano. This particular beer was made with Champagne yeast, acaia honey, and prugnoli, or blackthorn fruits, that give the beer its rose gold color. Doppelback A, a robust, limited edition beer to pair with the 36-month-aged Parmigiano. It had a deep complexity with the caramelized fruits, and both the beer and the cheese stood up to each other quite nicely. Overall, it was a super fun day! 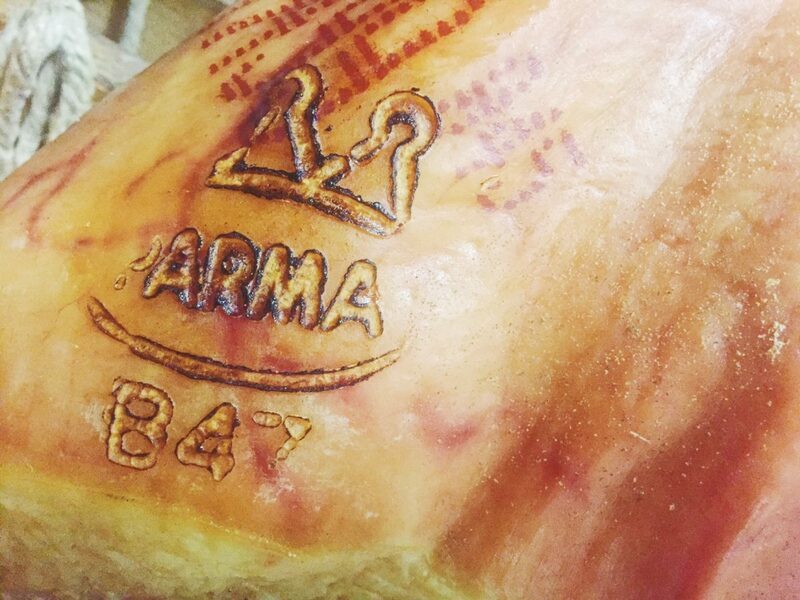 If you can’t make it to the festival, then get your Prosciutto di Parma on at home!